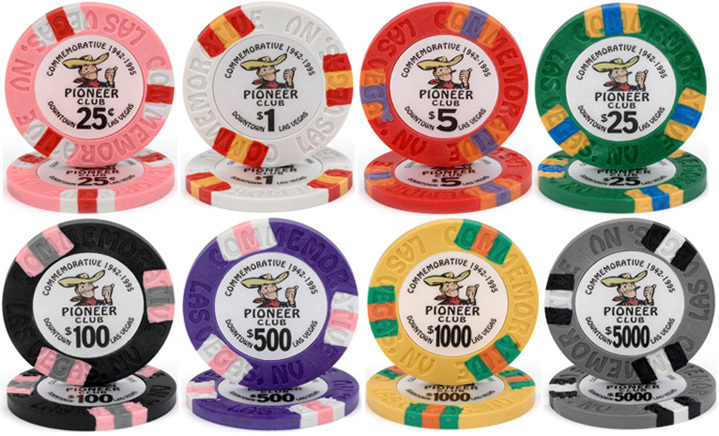 A brand new series of 9.5g quality clay composite chips commemorating the old Pioneer Club Casino in Las Vegas. These superb looking chips are based on one of the original designs. Note these have been discontinued and I only have a few sample sets left.